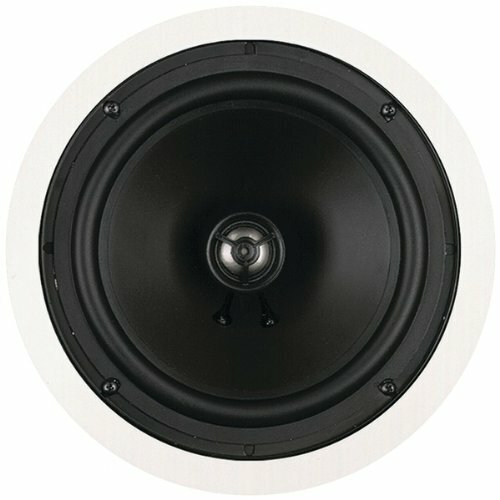 The M-SR8's are our top-of-the-line in-ceiling speakers Their 8amp;quot; polypropylene woofers enable them to deliver lower and louder bass output than that of the M-SR5 and M-SR6 in-ceiling speakers. Their surface-mounted 3 4amp;quot; pivoting titanium tweeters deliver highs beyond audible range, and ensure sound is properly directed toward your listening area. Mounting tabs are included for easy installation. Self-resetting thermal cut-off protects them from overloads. Can be purchased individually.. BIC models that match well with the M-SR8'S are DV62CLR-S Center Speaker, M-80 In-Wall Speakers, VI-38 In-wall Speakers, and DV84 Tower Speakers. M-SR8 In-ceiling speakers can be painted to match your decor. Ideal for use with ALL surround and music formats. If you have any questions about this product by BIC, contact us by completing and submitting the form below. If you are looking for a specif part number, please include it with your message.